During a monetary exchange, a payment agreement should be formulated to ensure you are protected. The parties involved agree to the terms and conditions stipulated in the agreement. By using these, you can limit the loss of money and take appropriate actions for when the debtor fails to follow the terms and conditions of the agreement. Putting your agreement on paper can lessen the likelihood that it will fall apart. You can browse through our various Sample Forms that you can use for when you need to compose a payment agreement. They are available in PDF format and can be easily downloaded at no cost. 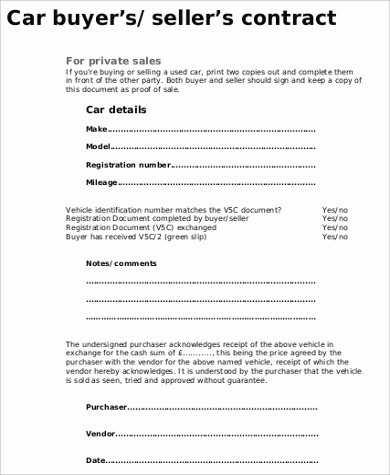 When you are selling your car, having a car payment agreement form will document the payment terms and that both parties agree to this. 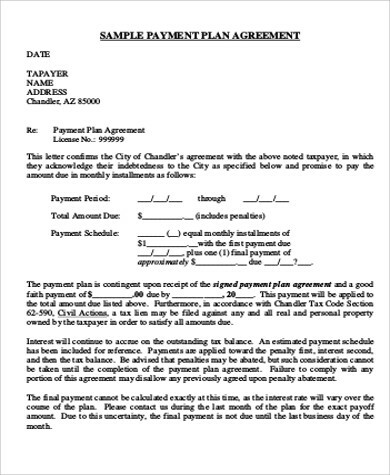 This payment agreement is duly notarized by a lawyer, which makes everything legally binding. This payment agreement is usually utilized whenever the buyer has to pay a large amount of money to the seller. Both parties agree that buyer will pay a fixed amount of money every month for a certain period of time. When hospital bills are pretty large, a payment plan must be arranged to be able to pay the total amount. 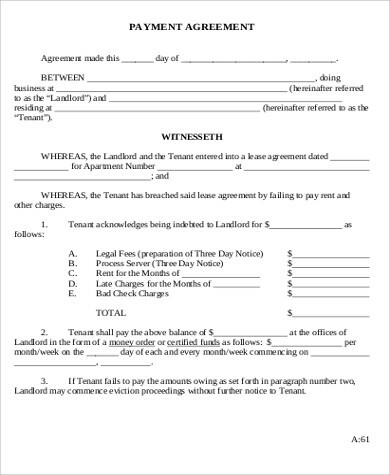 This payment agreement is between a landlord and a tenant. They set up payment terms about the frequency of payment collection and the amount needed to be paid. You may also want to check out Generic Lease Agreements. This is an agreement between a parent and the day care. They arrange payment terms and the child’s schedule in the day care. 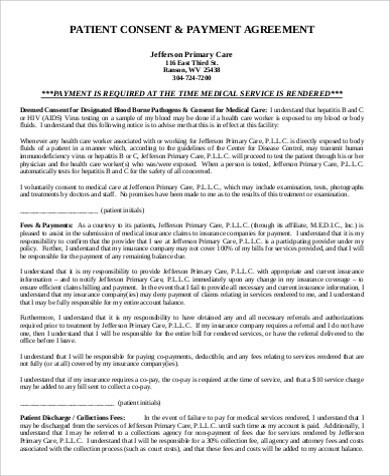 It is mandatory that the party who owes money affixes his/her signature to ensure that all the details discussed in the payment agreement form have been understood. 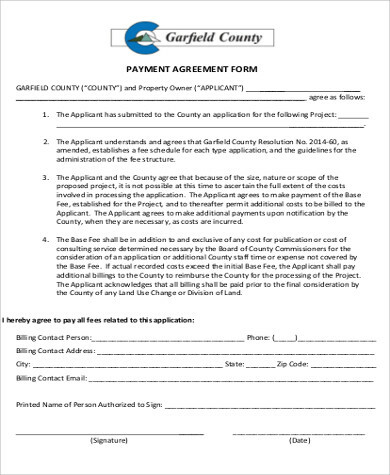 What Is Included in a Payment Agreement Form? the names and signatures of the parties involved. 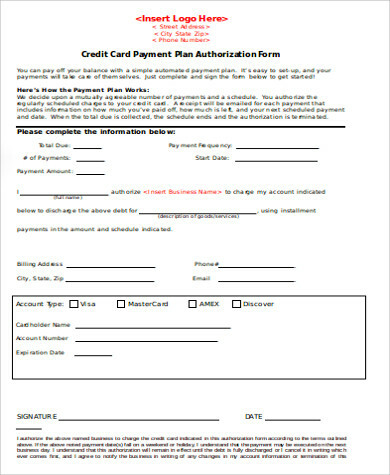 Why Use Payment Agreement Forms? Verbal agreements may be recognized, but written agreements are considered as a binding contract between the parties involved. This protects the involved from the disputes that may arise in the future. The forms in this article are pre-drafted to lessen the time it takes for you to create your own from scratch. It ensures that all the basic elements are covered. 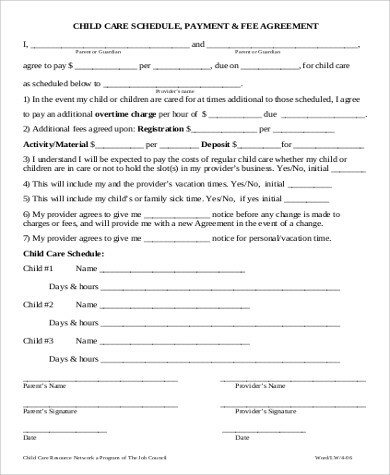 All you need to do is to fill out and edit the forms according to the payment agreement you have with another party. 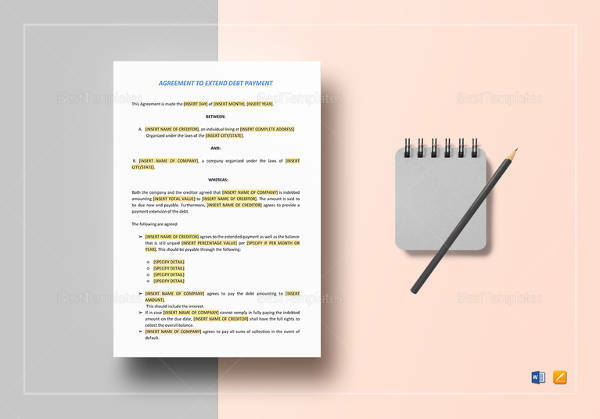 You may also opt to keep a copy of your chosen payment agreement form template on your computer or device to help you write a simple agreement form should the need for one arises. They are downloadable in PDF format and will serve as a great guide. 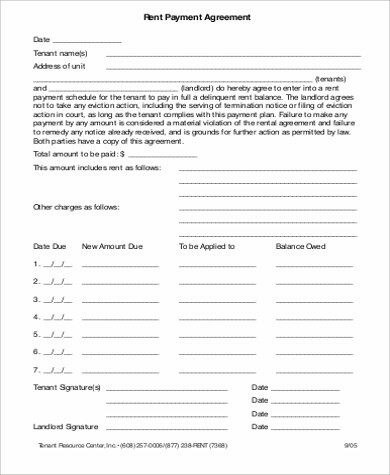 You may also want to take a look at our Loan Agreement Forms.